There are many great options available these days to the woman who wants to protect herself from attack and we are going to cover the Best Stun Guns for Women. 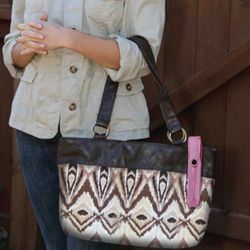 Although most self-defense items are unisex, there are some which are better suited for women because of the type of item. But the fact most men are physically stronger than women means women need a more efficient way to protect themselves against violent crime. They need something powerful and easy to use so they can take down someone who is bigger and stronger than them. Carrying self defense devices are added insurance. 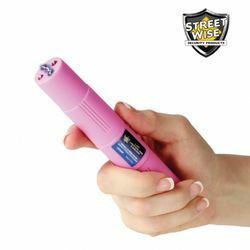 A stun gun is a great non-lethal weapon for self defense. It's one of the best self defense devices for a woman. 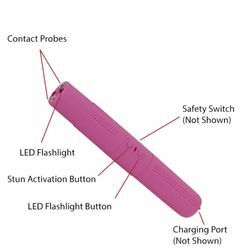 There are many different kinds of stun guns. Stun Guns have different voltages. The Lady Lightning Rod is the strongest stun pen available on the market, yet at 6 inches long and about an inch thick it is easy to conceal and handle. As the bright electric current pulsates between the prongs, it creates an intimidating electrical sight and sound. An attacker with any sense will stop in his tracks. If the sight and sound aren't enough to stop him, a jolt from this unit certainly will! Simply touching him with the device will deliver a high voltage shock causing loss of balance and muscle control, confusion, and disorientation- bringing him to his knees and making him incapable of further aggressive activity. Full recovery takes about five to ten minutes. There is no permanent harm. High Powered: This is one of the strongest stun pens available. Just test firing this powerful unit in the air is often enough to stop an attacker. As the bright current pulsates across the top, it creates an intimidating, electrical sound. An attacker with any sense will be stopped in his tracks. If the sound doesn't stop him, a jolt from this unit certainly will. Rechargeable: Recharge cord (included) plugs directly into a standard wall outlet. Complete charging instructions enclosed. LED Flashlight: The LED flashlight provides a convenient source of light whenever you need it and eliminates the need to carry a heavy, bulky flashlight. Safety Switch: to prevent accidental discharge, two levels of safety have been built in. The safety switch must be in the "on" position, and the trigger pressed down before the stun gun will operate. *The actual voltage emitted by any stun gun is difficult to measure but recently many stun guns have come to the market that claim to be millions of volts. We wanted to show that the output of our model is similar to others which claim to emit 2,500,000 volts.